It’s on! Join us in the Caribbean: Seasick style. We are headed to Roatan for a week of diving and land-based adventure. Not into mobs of people or hordes of cruise ships? Neither are we. We selected the Turquoise Bay Resort which is located in a less traveled region of the island. Centrally positioned, we will have access to all the famous dive sites on the West End but also the remote and unpopulated sites to the east. Magnificent walls, dramatic coral formations, and no crowds. Yes please! Oh yeah, expect 80°+ water, 100’ visibility and plenty of sunshine. Of course, no trip would be complete without a couple of optional adrenaline-pumping activities. Shark feed, check. Ziplines, check. Dune buggies, check. Tempting — we know. Roatan is the largest and most developed of the Bay Islands, situated about 30 miles off the north coast of Honduras and in the western regions of the Caribbean Sea. At 30 miles long and less than 5 miles wide, Roatan has a total land mass of about 32 square miles, and sits atop the world’s second largest coral reef. For a small island, Roatan’s geography is amazingly diverse. Visitors can experience everything from flat sandy beaches, rocky volcanic shores, mangrove forests, lush valleys and steep, rainforest-covered hilltops. It has a mountainous backbone surrounded by warm waters. Positioned at the southern terminus of the Mesoamerican Barrier Reef System, the island is enveloped by coral reefs, which provide calm, clear protected beaches for swimming, snorkeling, and hosts many varieties of sea life for divers. Honduras is said to have about 70% of the sea life in the Caribbean as it attracts an array of marine life from macro critters to the largest fish in the sea, whale sharks (fingers crossed)! If you want to take a break from diving, you can indulge in some of the fantastic land activities Roatan has to offer. Picture yourself on a zipline flying 330' over tree tops and soaring through the tropical vegetation high above the forest. Or how about an afternoon gettin' muddy on a dune buggy or ATV excursion? If adrenaline is not your thing, you can go for a more relaxed option where you can pet and hold sloths, capuchin monkeys, macaws, iguanas, and parrots. Roatan is located almost midway between the Tropic of Cancer and the Equator, which gives the island a tropical climate. The dry season starts in March and goes through July. This period consists of sunny days with the temperature increasing from an average of 84°F at the beginning of the season to 86°F in July. This period is very warm and humid, but moderated by a steady easterly trade wind. Located on Roatan's Northeast shore, Turquoise Bay is the only dive resort in this lush and remote area of the island providing you with the opportunity to dive uncrowded, pristine dive sites. The resort is set on a hillside with spectacular ocean views. 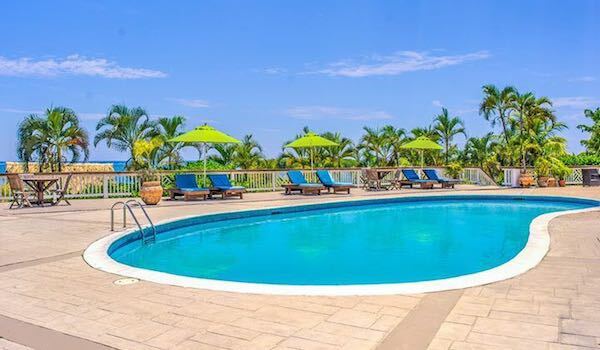 Your retreat not only includes a relaxing stay in one of their Ocean View or Garden View rooms, but also exclusive access to a wide range of resort amenities. 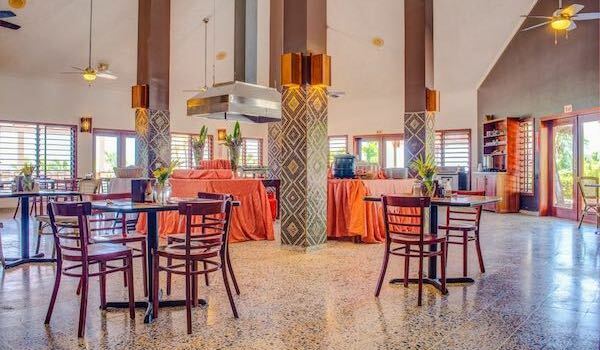 Cool off in their tropical pool or sunbathe on the terrace overlooking the beach and sparkling waters of the Caribbean Sea. 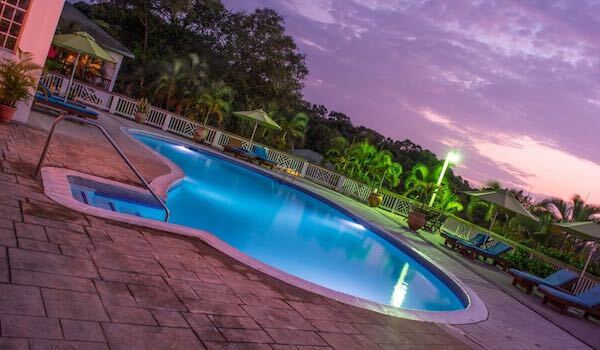 Guests can also enjoy the privacy and tranquility of the longest private beach in Roatan. Their white sand beach has palapas and palm trees offering shade, beach bar, lounge chairs and a volleyball court. The bay is protected by a mangrove island and the off-shore reef so the water is calm and perfect for swimming, snorkeling or exploring with complimentary paddle boards and kayaks! And of course, enjoy full waiter service at your beach chair and poolside. Featuring beautiful views of the Caribbean, Turquoise Bay’s Ocean View Rooms are 250 sq. ft. and perched on a low-lying bluff rich with tropical foliage overlooking swaying palms and the azure sea below. 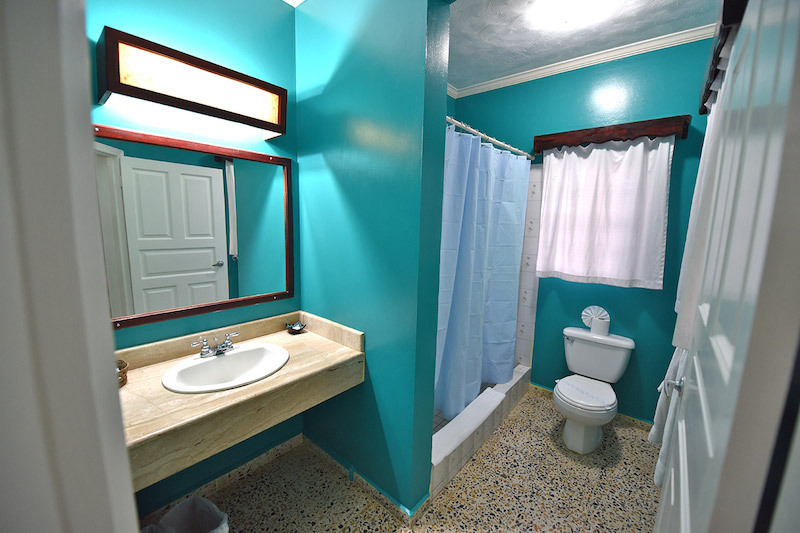 Located closer to the dive shop, pool, and beach, the 250 sq. ft. Garden View Rooms offer the same amenities as the other room types at Turquoise Bay. 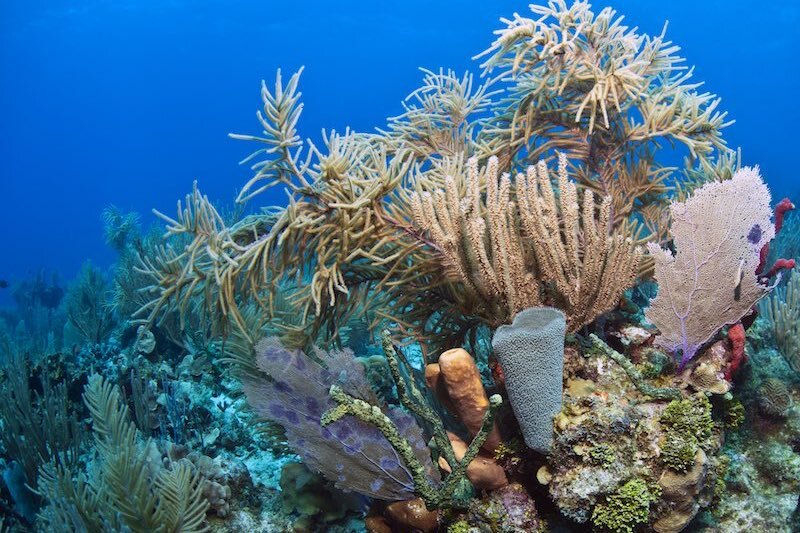 Roatan is a world-renowned scuba diving destination. Turquoise Bay is the only dive resort in this area of the island providing scuba divers with the opportunity to dive uncrowded, pristine sites. The North side of Roatan offers scuba divers the unique opportunity to experience the largest variety of reef topography on the island. Roatan is surrounded by the world’s second largest barrier reef which is also one of the healthiest in the Caribbean due to the Roatan Marine Park and the local dive community which encourages conservative diving practices. You can explore sloping plateaus which are perfect for spotting macro life, sheer walls with large soft corals and barrel sponges, wreck dives abundant with life, crevices, trenches, overhangs and cavern systems. 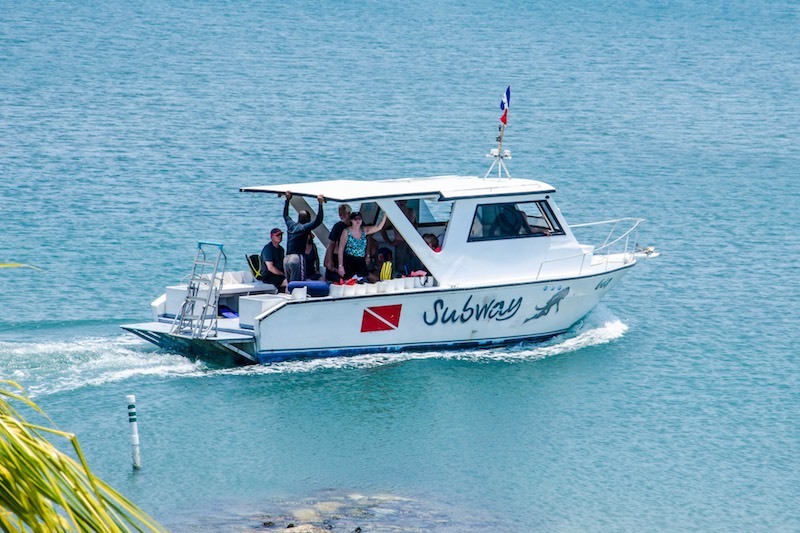 Turquoise Bay Resort’s on-site dive center is operated by Subway Watersports. They are an elite PADI 5 Star Instructor Development and National Geographic Dive Center. Subway Watersports opened for business in April 2001 and soon became well known for its quality and personal service. The location at Turquoise Bay opened in March 2006. They offer small groups of 6-12 divers per boat and a PADI Divemaster guides all dives. The dive sites are close by so we come back to the dive shop for our surface intervals. When going to some of the further dive sites, we will do a two-tank dive in the morning and one tank in the afternoon. They are the only dive operator diving on this part of Roatan which means you will not see other scuba divers during your dive and have private unspoiled dive sites. 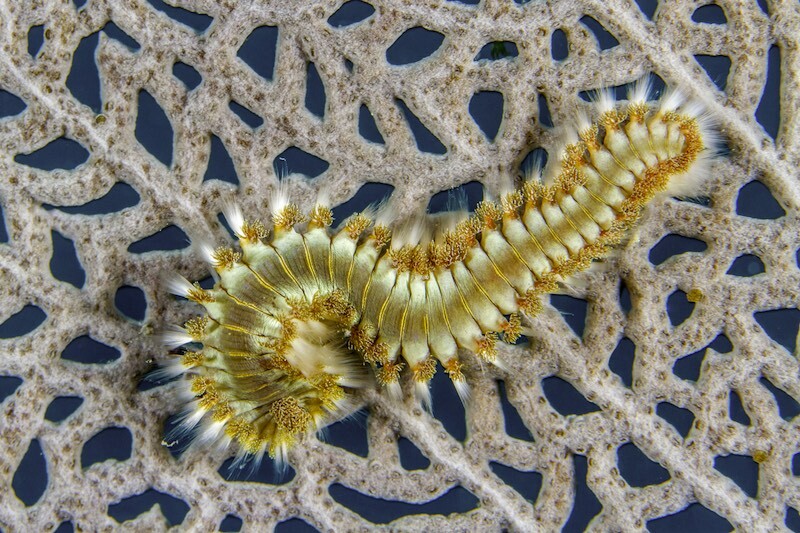 All-inclusive dive packages include three boat dives per day. 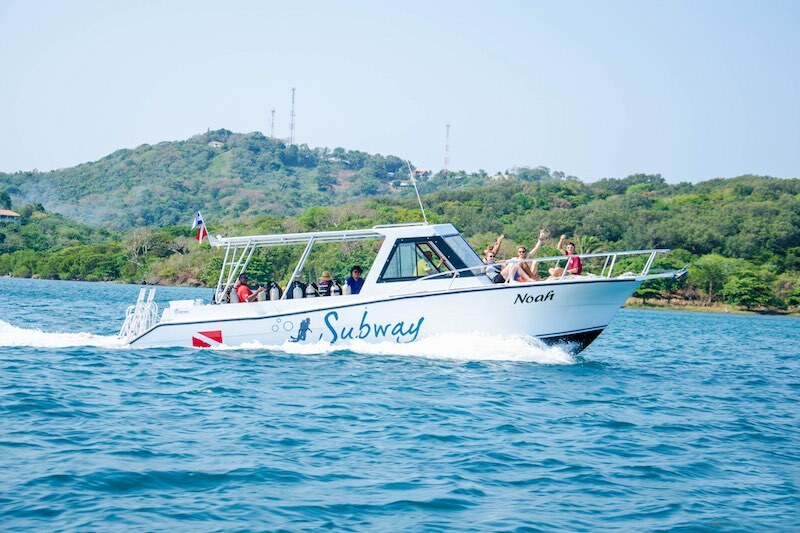 Should the sea conditions not allow us to dive on the Roatan North shore we will take our guests by bus to an alternate location on the South side of Roatan. When diving on the South side we are able to do two boat dives per day instead of three. “Cara Cara”, which in Spanish means “face to face”, is a famous shark dive in Roatan. It is organized by the Waihuka Dive Center situated on the south side of the island. Here, divers are literally “face to face” with a dozen, all female, Caribbean reef sharks measuring up to 10 feet in length. It is a 10-15 minute boat ride from the Waihuka Dive Center to the “Cara Cara” dive site. All dives start with a detailed briefing by the staff prior to entering the water. The maximum depth is 70 feet and bottom time 30-35 minutes. Visibility is typically 80+ feet. Cara Cara may have mild to strong current so divers must use a descent line down to the flat plateau. The dive starts in a stationary position, with a little wall behind everyone so that the sharks will never come from behind. The divemaster manages a closed bucket of dead fish which attracts the sharks. Based on the divemaster's discretion (and if the current is not too strong) divers have the ability to swim around with the sharks! Towards the end of the dive, the divemaster requests that everyone return to their initial position. He then opens the bucket and the real show begins! 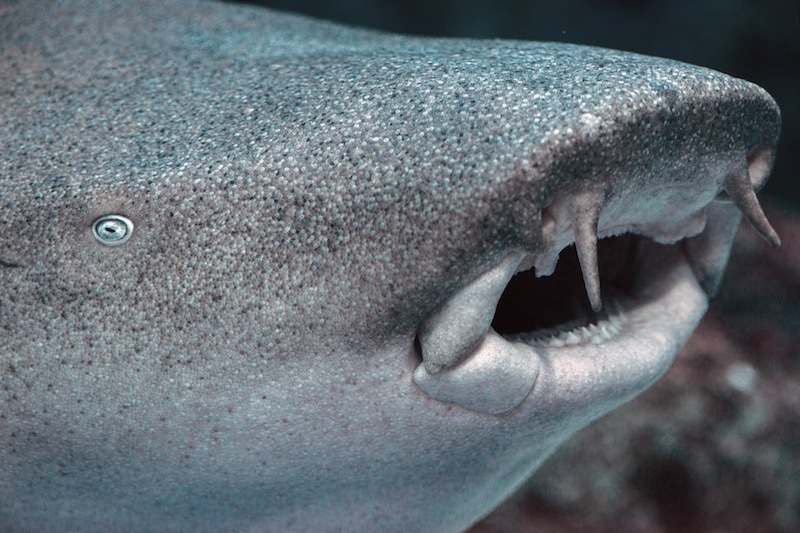 All the sharks fight for the best bite. Usually the sharks leave when the bucket is empty. Empty bucket means it is time to surface. NOTES: Underwater photo and video cameras are allowed, however GoPro cameras are not allowed. A professional video is also available for sale after the dive. Like thrills? How about soaring above the tree tops? This fascinating trip on the canopy rainforest offers the opportunity to see the flora and fauna that exist on the island. The Extremely Extreme Zipline includes 9 incredibly long zip lines that adds up to 2 miles of pure adrenaline fun! The longest zip line during this tour has a total length of 1,980' in distance. The highest zipline has a total of 328', all while zipping over trees and flying next to tropical birds in the zip park’s wildlife reserve. This zipline is perfect for everyone including first-timers and people of all ages and levels of fitness. Pirates of the Caribbean is the only zipline on Roatan with auto braking. 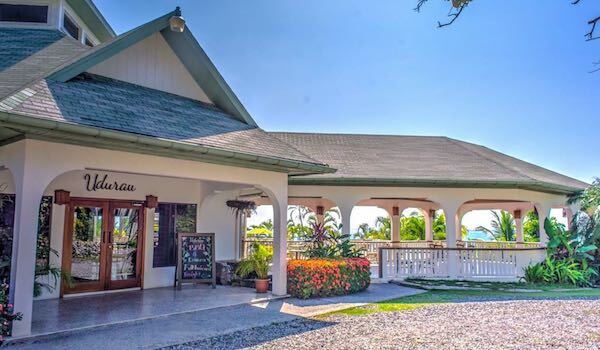 Relax while enjoying the breathtaking views of both sides of the island as you slow down by gravity with no anxiety or fear of having to break on your own. As you smoothly come to the end of each line a professional guide will greet you and assist you by unclipping and then clipping you onto the next line. The time for the tour will range from 40 - 90 minutes depending on the size of the group. We call it Extremely Extreme because it's extremely high, extremely easy, extremely safe, and extremely fun for all ages! WHAT YOU SHOULD BRING: Tennis shoes or strap back sandals are recommended. Comfortable clothing. Camera and/or video camera. 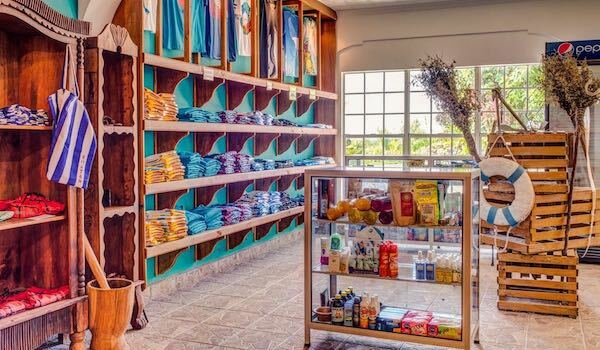 Cash for drinks, souvenirs and tips. Sunscreen and bug repellent. NOTES: Water, soft drinks and T-shirts are available for purchase. Restroom facilities are available. Bring your own GoPro camera and attach it to your helmet or have our on-site photographer take beautiful photographs of this unforgettable experience! Here’s how it works. When you arrive, your Roatan Dune Buggy guide will provide you with driving instructions and a safety briefing before it is its time to follow the guide in your off-road buggy. Each buggy is a shared, two-person vehicle. The buggy has an automatic transmission so driving is easy. The buggy is open, and has a tubal design so get ready to get dirty, wet and maybe even muddy. On the buggy trail, you will cross the island on a mountain ridge and drive on narrow jungle paths, quaint village back roads, local plantations, steep terrain, forest dirt roads and more for a real Buggy Adventure Excursion in Roatan! Keep your eyes open for the unique views of nature, coast, beaches and wilderness where you may see Wishy Willys (indigenous iguanas) and Monkey Lalas, a local species of lizard, as well as parrots, toucans and deer. You will stop for a 20-minute beach break to stroll, relax and just enjoy nature before it is time to return. Please note that this beach does not have restaurants or other facilities...it is just you and the island's natural environment. WHAT YOU SHOULD BRING: Tennis shoes, strap back sandals, water shoes or dive booties are recommended. Comfortable clothing. Camera and/or video camera. Cash for drinks, souvenirs and tips. Sunscreen and bug repellent.